Saw Rydia had some new stuff on the second FF4 banner, and I have enough for this and to keep enough for a pull on KH3 when that swings round. Gave it a yank and figured it'd be at least one new toy.  Dark Cecil LMR. When low on HP, grants Last Stand, lowers DEF a small amount and increases ATK a moderate amount. I could see this as useful. Rydia LMR. EnWater at the beginning of battle. Considering a large number of her breaks are Water-based... this could do well with some of them. Rosa USB "Benediction"! Large heal on all allies, automatically heal an extra 2,000 HP as needed, and grant Magic Barrier- allowing each of them to dodge one magic attack. "Ten summon water/nonelement magic attacks to one target. Temporary EnWater. Raise Magic a moderate amount and Defense a small amount. Cause the user's water abilities to trigger the followup attack "Tidal Flood", dealing five water/nonelement summon magic attacks to one target. Restores two ability uses to one ability after a certain amount of time has passed. Dr. Mog's plus Fated Encounter plus Chain Waterga, maybe Chain Waterja if I can ever locate the record for it. Nine or ten straight water attacks, plus I think I have the water chain and Mako Might. I'm excited because this is magical, and I think all the other big Water breaks are all physical (Tidus, Yuffie, etc. ), and this will help my Rydia transition away from just dropping Bahamut/Neo Bahamut every turn for seven rounds. If you didn't have Rosa USB already that is an amazing item. Rydia USB sounds amazing as well. That should be a big help on Belias. Rosa USB is pimp as all hell. That thing trivializes a bunch of fights (Maliris in particular). 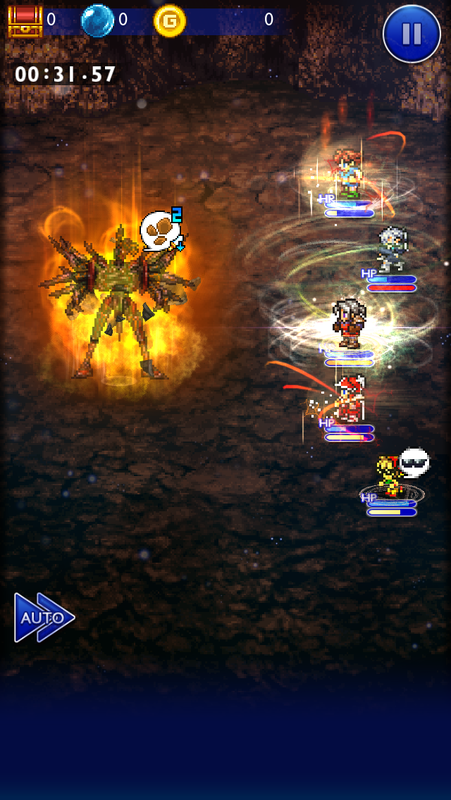 For elements where you have chains, your magicite will usually get the job done for you (though you may need to help it out with some imperils). For elements where you don't have chains, it's quite possible you will want an OSB to help you out. Of the twelve 5* magicites that are out so far, I have completed nine of them. The only one I'm using an OSB on is Famfrit, and that's mostly because I'm using a gimmick strat that requires Mimic Queen's active ability so I don't have a 5* magicite breaking rage modes for me. However, most of my clears feature the appropriate chain. One of the reasons that the Awakening soul breaks (global translation TBA) are so hyped is that they give you a good way to break rage modes. Notably, Bartz can do it for the first six physical magicites, and Terra can do it for five magical magicites. We'll see what Kingdom Hearts brings, but Sora Awakening will probably also be good for those first six physical magicites. Interesting. Can you post your setup? Rosa has the major ice res accessory and Snow and Locke both have some self-healing. The healing is very easy and stable throughout the fight. Hmm. I have nothing for Snow and Bartz has USB 1 instead of 2 but maybe I could make it work. Thanks. Snow is really just a stand-in in for OK, his USB2 gives atk/def/crit/haste/shellga and he can actually use a proper fire attack so he seemed like a good fit here. No dice on Belias despite many many attempts over the weekend. Considering whether to move on to try the ice ones because I've at least got a fire chain (Krile, but still). I level all my magicite through the daily dungeons. Takes forever, but its not like I have a ton of them I can complete either. Hmm that is a nice suite of buffs. I doubt I have anything to stand in for that. Maybe Galuf BSB1 imperil ish? Prot/shellga + def boost. I could see potential usage for that. Don't know if it will ever see actual usage though. Belias was a major problem for me too. Best I can recommend is to make sure you have a source of last stand to get through his big attacks - Edge USB0 did it for me. Having more imperils would be pretty good for damage, Edgar has a hard time keeping them up to be honest. Youu do need to get haste/shellga from somewhere though. Prot not needed? Could Rosa not squeeze in a Shell or haste at the start? I don't think Rosa can squeeze anything in to be honest, prot is definitely not needed though. He only does some weakish attacks in phase 1 that it mitigates. I got some use out of that on type-0 CMs back in the day. Anymore though, not as much, even on the torment. Yay. I went back to Cuchulainn torment and got a 61% victory on part 3! Nice to go back to one of those with a bit of power-creep; turns out that Delita’s Ultra/Burst combo works well in the right fight. So on my phone FFRK keeps finishing a fight, going through the whole you won, you got items, you got 3 trophies... then going back to the fight screen and hanging there. It progresses if I minimize the app and go back into it. Any ideas? It's persisted through a cache clear and a reinstrall. I DID IT! I beat Behemoth King! 31.12s, and plenty of time to spare since I misplayed and didn't use Elarra USB to quickcast Maria AOSB. I'm finally into the 5* magicites! Edit: I can repeat it! Lol, someone on Reddit pointed out you can see that the interface for Magia is already in the game. In the multiplayer lobby, click the magnifying glass icon for one of the other players, and there'll be a button to look at their characters' Magia levels. What phone/OS? I've been having some odd stuff after battles after updating to Android 9. Edit: Woo! 28.86s! Time to never worry about the sub-30 on BK again! Pixel 2. And yeah, it's Android 9. I didn't notice it last week, but I wasn't using Auto then, now I am. Got a 5* on the daily draw today! It's a VI armor with no SB and minor earth resist. Is this the AOSB that will beat Hecatonchair? I have gotten 6 dupes so far on those 19 OSBs. I guess its kind of whatever because in general they aren't amazing gets anyways but the constant duping does get old. Second straight daily hit, Fang SSB dupe. Don't need another + wind armor, so I combined it. I'll take a free boost to + element equipment anytime, thanks game. So, in order to prove something to myself, I chose to try putting my money where my mouth was, and fight Hecatoncier without using Luneth’s Arcane, instead inserting an Overstrike where I would’ve used it. It took a few shots, but I got him. And that’s my 4th Heck. I would’ve taken a screenshot of Luneth’s SB menu to show that the Arcane was unused, but the killing blow was Hecatonchier hitting himself with Radiant Shield damage, so I didn’t have enough time before the death animation took over. Dupe 6* relics without elemental boosts are basically 7* fodder, as far as I'm concerned. Cloud’s O1 sword has realm synergy +Wind, for what that’s worth. Been in hibernation mode, doing mostly time-locked mythril stuff to hoard, but finally got a hit on the daily draw again! And what seems like a damn good one, Luneth USB2! 1.) I would pay $10 a month just to play this game, so $10 a month where you maybe get a new item once every few months (ugh 45 misses in a row streak) is technically an improvement there, if you look at it glass half full. 2.) I have basically stopped buying console games because I play this, so I shifted some of the money I would pay for PS4 games over here. Also I probably haven't bought a Switch because of this game, so that's big savings as well. 3.) I still have leftover gems from the last Dream Select, so I'm basically coasting on those for the time being. I haven't explicitly bought gems for 100 gems in a while, though I admit money is fungible and it works out the same in the end. 4.) I like to think I'm becoming inured to disappointment here, rather than expecting something nice and never getting it. If it truly bothers people that I'm keeping a running tally in spoilers, I can stop? I feel like a running tally with your lower than expected returns actually helps me remember that 100 gems isn't worth it. You are probably helping people to save money. Until you go on a roll and end up encouraging spending anyway. So there's a KHUX x FFRK collaboration mobile browser game out now for the usual "community points for x prizes". If all the goals are hit, expect 10 mythril, a 6* keyblade relic, a bunch of orbs and eggs and about 10 of each 5* mote, 20 of the 4*, and 40* of the 3s. Weird. A run where I let a bunch of Heartless escape got a better score than the one where I killed all but one. I wonder if the screen-clearing Fated Circle attack doesn’t get you points for each enemy killed. Ooh. First daily hit in a good while: Raijin’s Overstrike (lightning element, does more damage for having done more Monk attacks). I figure the intended use-case is alongside his Burst, but I figure he can probably use it well as a finishing move alongside spamming his Super for most of a fight (especially if it’s a fight where spamming Spark Rush is viable). Not the best Overstrike, but I can try to swing it from time to time. IIRC, an Ironfist Lightning attack doesn’t exist in Japan, right? I...got 15 Mythril with the Dark Matter I don't know about you! Saving for KH goodness tho! You can't tempt me Dena.